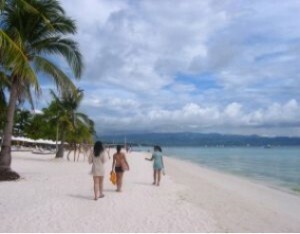 Retire Philippines is a very great idea to put on your list of places to retire. If you dream of going to a topical country when you retire then you definitely should not miss the Philippines as it has so much to offer. The weather alone is reason enough to come here. The Philippines is a tropical paradise with many beautiful beaches and azure waters to give you the fun and enjoyment you are craving for your retirement. The Philippines is a developing country that is blessed with many natural resources that attracts a lot of tourists. In fact, tourism plays a major role in the growth of its economy. Being a developing country, the cost of just about everything here is very low. Hence, anyone who is planning to retire Philippines will get more out of their retirement income than they would back home in the United States. With an average retirement income you could afford to get your own place with hired help to do your chores for you. Now, that is something your retirement income will not be able to afford should you decide to stay somewhere with a higher cost of living. In fact, in the Philippines you could live luxuriously on only 1000 USD a month. We have already talked about how the Philippines is a tropical country and as such, you might expect the weather hear to be warm and humid. During the months from May to November there is some rain but it does not get any colder. The climate pretty much stays warms the whole year round even with the occasional thunderstorms. It is warm and dry during the summer months from March to May. For a much cooler summer, you can choose to spend it in Baguio which is known as the summer capital of the Philippines. For the rest of your time, you can visit different tourist destinations which can be found all over the archipelago. With everything here being so affordable, you can visit all the major tourist destinations and still have a lot of cash to spare. Retire Philippines is not a difficult transition for you. Even though tagalong is the primary language of the people here, almost everyone can understand and even speak English here since English is the medium of instruction in the Philippines. Furthermore, the people are very friendly and hospitable. You will make friends here in no time. Retiring in the Philippines is a great idea to have fun during your retirement.